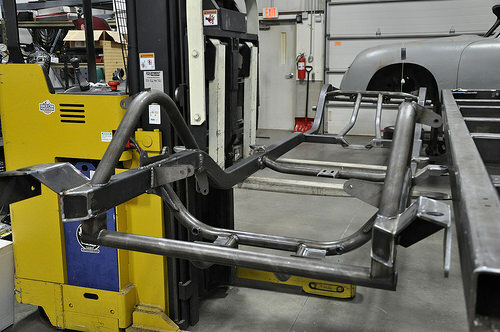 Bill wanted a full frame chassis and suspension system from Schwartz Performance. This is a Pro-touring setup from Schwartz, LS3 engine, Tremec 6 speed transmission, and Moser rear end were included. The chassis/drivetrain package came to us, and we got to work on a 36,404 actual mileage 1972 Nova base coupe. Stripped it down, and deleted some features for the repaint. Once paint was complete, assembly and wiring began. This made for a unique transformation from a "grandma's grocery getter" to a world class muscle car completed in time for a family reunion. This was one of our fastest builds! Bill had everything planned out, and purchased on schedule. One of our favorite builds for sure.